In support of Ronald McDonald House Greater Hudson Valley. The Walk will be held Rain or Shine. Join us as we Walk Over the Hudson on the Walkway! The Walkway Over the Hudson State Historic Park is the world’s longest elevated pedestrian bridge and spans 1.28 miles over the Hudson River from Poughkeepsie to Highland. We will meet on the Poughkeepsie side, walk across the bridge and back (approximately 2.5 miles round trip). This will be a wonderful day to be outside and enjoy the amazing views from above the Hudson River. Please help us keep families together and close to the care and resources they need when their child is hospitalized due to serious illness or traumatic injury. Create a team! Invite your family, friends and co-workers to walk with you! Even if you can't join us that day, you can still support us and be a virtual walker. Deskin Burton and his twin brother Jake were born at just 24 weeks and 3 days gestation at Westchester Medical Center in January 2013. Deskin weighed 1 lb, 10 oz, at birth and was just 12 inches long. Tragically, Jake passed away when they were two days old due to complications from extreme prematurity. Deskin spent 176 days in the NICU at Maria Fareri Children’s Hospital, before transferring to Blythedale Children’s Hospital, a children’s rehabilitation center where his parents learned to care for his special medical needs. Throughout his time in both hospitals, Deskin’s parents stayed at the Ronald McDonald House of the Greater Hudson Valley. After a total of 286 days, Deskin came home in November 2013. In January, 2018, Deskin gained a little brother named Chayton. Deskin is currently a kindergartner at Vail Farm Elementary School in LaGrangeville. Please help us raise money to directly support the Ronald McDonald House of the Greater Hudson Valley. $2,500 Donation from individual or team. If requested, up to TEN (10) T-SHIRTS can be reserved - please indicate sizing by April 26, 2019. Two personalized signs will be created with your name/team name to carry with you during the walk. 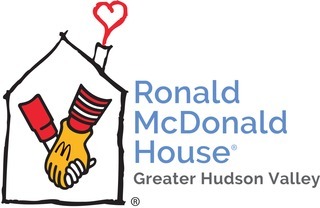 AND you will receive FOUR (4) TICKETS to Ronald McDonald House Night at the Hudson Valley Renegades Game on Saturday, June 22, 2019! $1,000 Donation from individual or team. One personalized sign will be created with your name/team name to carry with you during the walk. $500 Donation from individual or team. If requested, up to FIVE (5) T-SHIRTS can be reserved - please indicate sizing by April 26, 2019. $100 Donation from individual or team. If requested, up to TWO (2) T-SHIRTS can be reserved - please indicate sizing by April 26, 2019. $20 Suggested Donation for each walker. PARKING: Due to possible construction, there may be limited parking in the Main Lot in Poughkeepsie (on the East Side of the river). Please let us know if you need handicap parking or any special assistance. When arriving near the Walkway, look for nearby street parking and walk to the registration tents in the Main Lot. Fun for all ages - strollers and leashed dogs are welcome! We look forward to sharing this very special day with you! This event will be held rain or shine, unless the weather is severe and the Walkway closes.